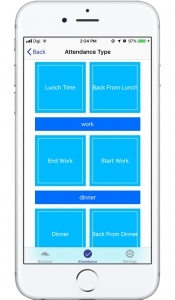 Flexible employees work pattern, shift calculation and etc. 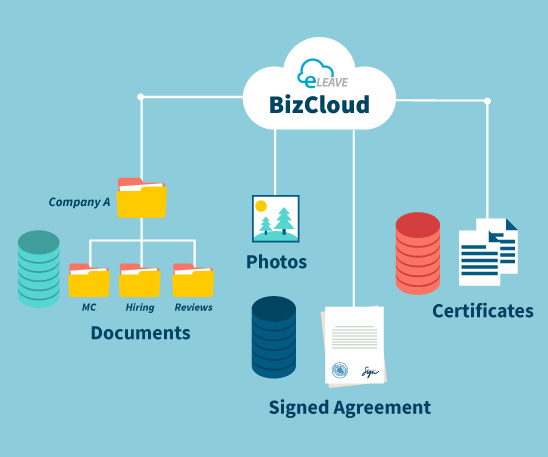 Personalized expense claims, upload MC, images, toll receipts, parking, petrol and etc. Reach us via email, phone or contact form. Setup the system, import user data and leave policies. We will provide free online training. Get 30 days FREE trial without any extra charges. Continue to use the system or setup a fresh one. Our modules are capable of working with your current system. 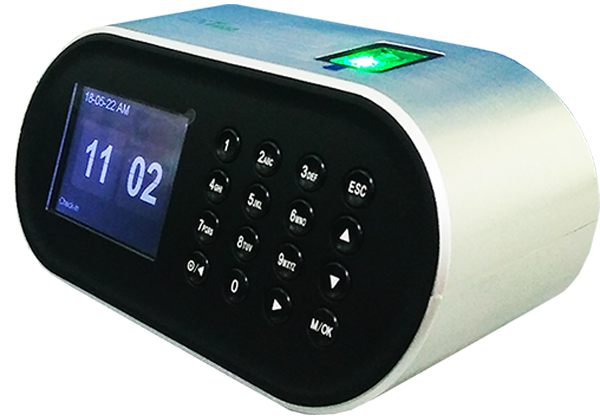 We have customers that use single or multiple module to accompany their main system. 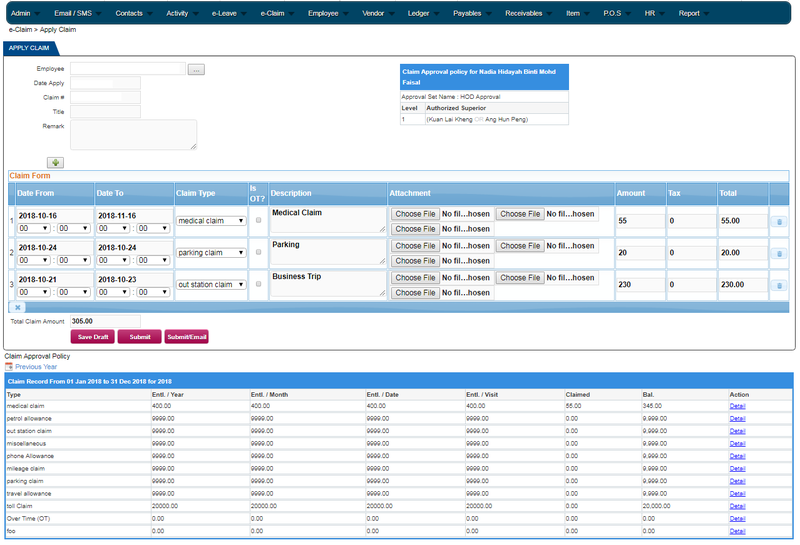 For example: some of them use only our Attendance System to couple with their payroll system to aid their HR process. 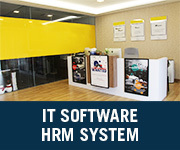 We encourage all enterprise to take steps to digitize their HR process, and improve productivity. Download our latest brochure including information about our products and services. 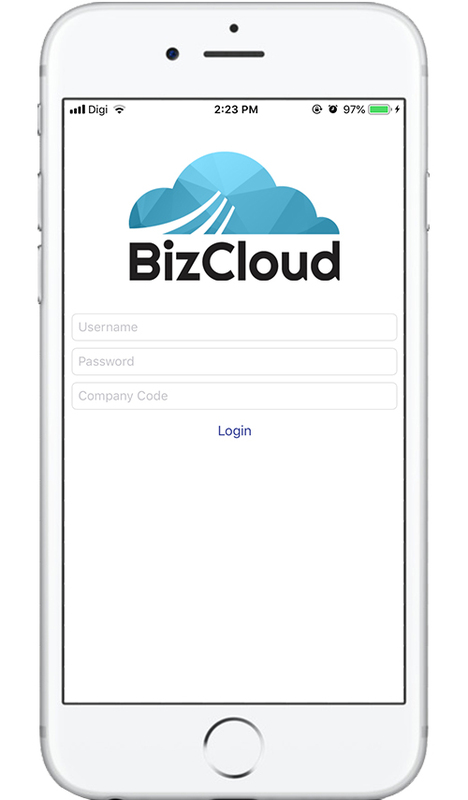 BizCloud App is a mobile application where employees can apply their leave with single tap; managers to have better leave management process. 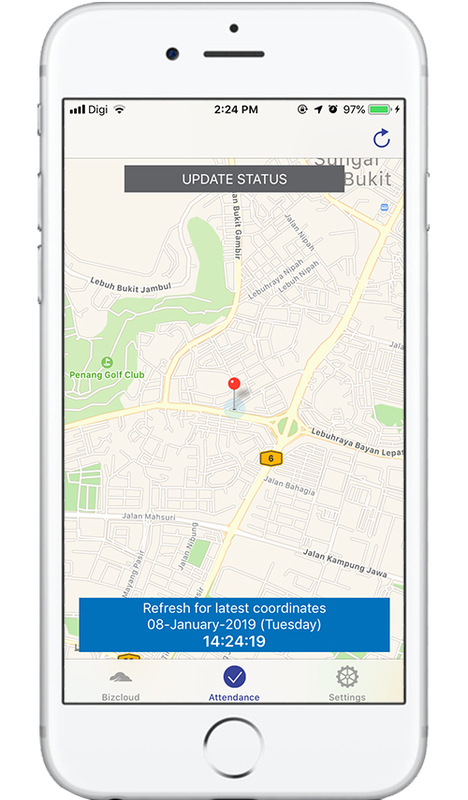 Reports can be viewed in excel or PDF formats according to the mobile app features. For example: e-Leave Report, summary report and attendance report. 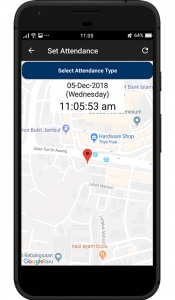 System will allow employees to punch in attendance using any GPS-enabled devices at any location as long as internet service and GPS signal are available. For example: employee do not need to attend to office early in the morning, but go to customer place directly and clock in with the mobile app. 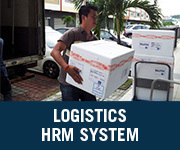 In e-Leave HRM, we satisfy the employee and employers by providing flexible leave management. Leave carry forward can be limited by years, months, leave types and etc. Best of all, you can always contact us to help you with your settings. We understand each and every company is different. Therefore you have your own set of business rules. 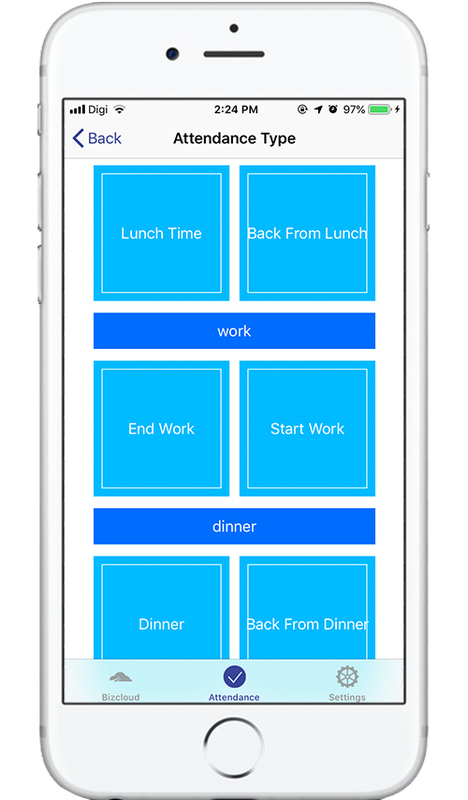 Our experience, we listen to your needs, and we customize the feature to suit you if all configurations are out, and if it is needed. We, as experience software developer and entrepreneur is willing to listen to you and help you to solve your HR problems. 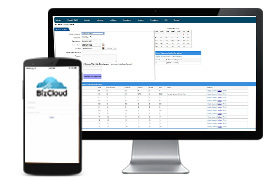 You can retrieve the employee file by searching to employee and find the related file, then view it online or download it. 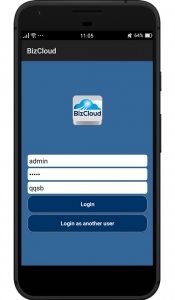 All files are securely stored by Google drive and BizCloud HRM password. 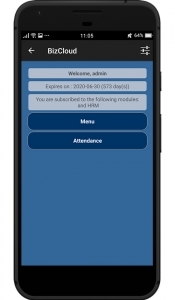 The work pattern is used to calculate attendance and leave days. 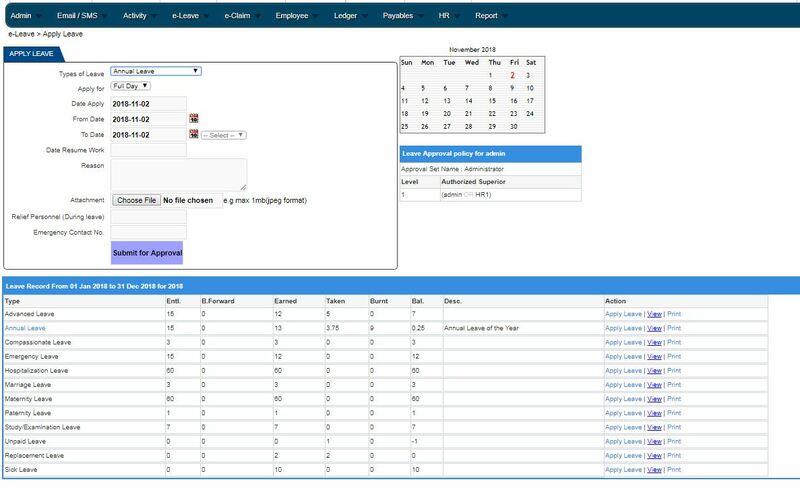 Better management with all in one leave and event calendar. 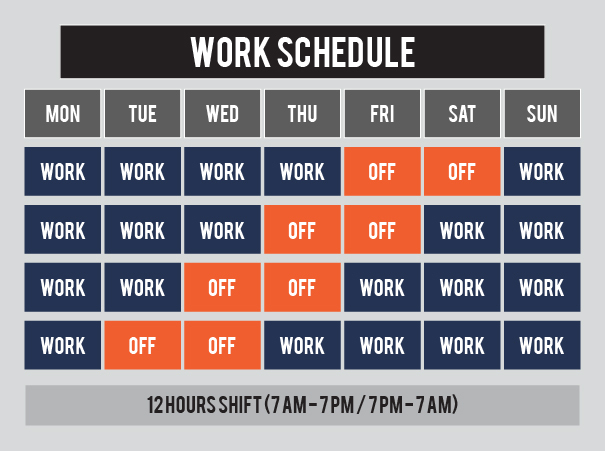 All company events can be shown in this calendar for different employee types. 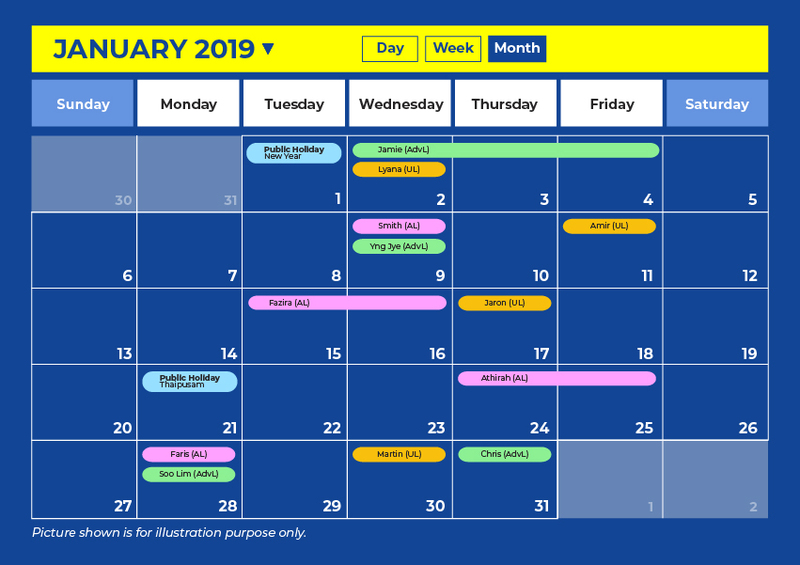 With a simple color-coded calendar interface, you can see who is on leave and when they are due back in a whole calendar view. Every one in your company can plan their work, know their counter parts leave plan, and more importantly increases team work and improve productivity. 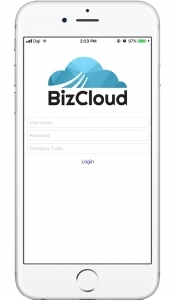 With e-Leave HRM attendance, you can sync all attendance data to our BizCloud. 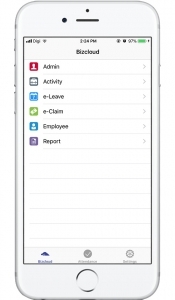 Then, you can access the data for payroll, claims and other administration need. 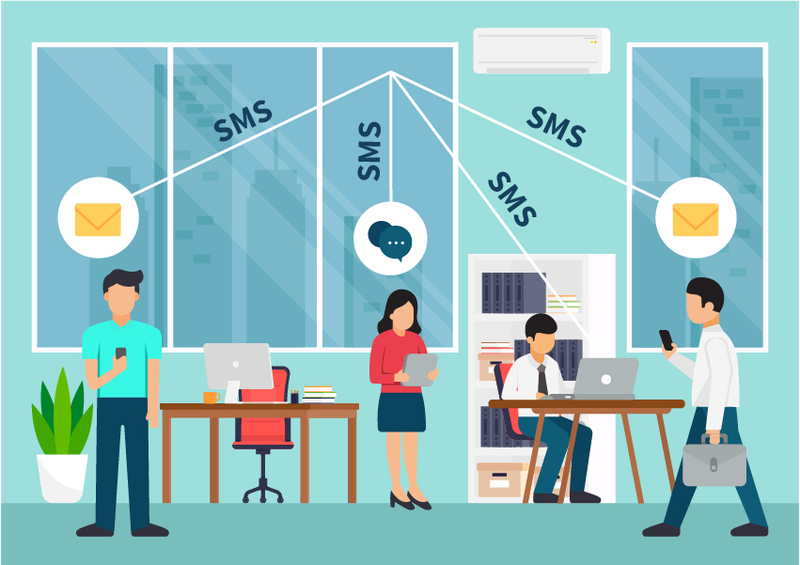 By integrating iSMS.com.my (bulk SMS service), you can directly interact with your employees, send announcement to the whole group or specific category. Your employee can also reply to the SMS directly. 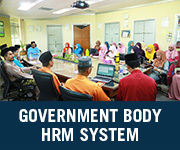 This will help you to manage your human resource more effectively. Once done take a photo of your receipt, it will be uploaded to the system. 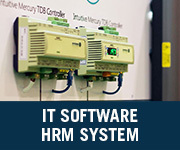 We support you by helping you to setup to begin the HRM system. You can reach us for any issues or questions at anytime. 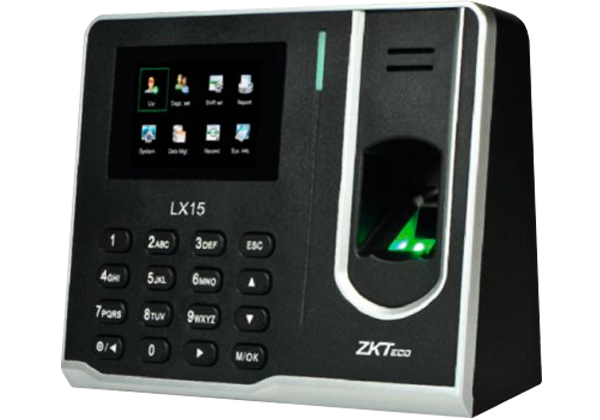 Scan your employees fingerprint into the attendance system, insert their working patterns, shifts and etc. 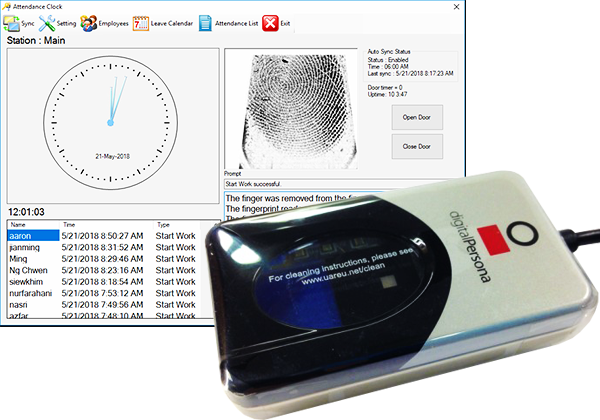 The employee thumbs in everyday at the counter top finger print device from any company branch. 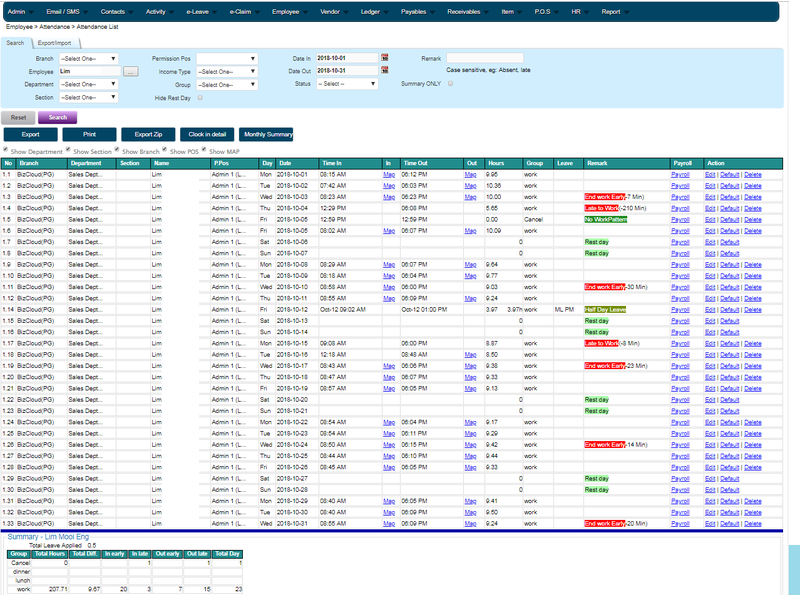 HR Administrator will login to Leave application to view report, generate report or edit any setting. 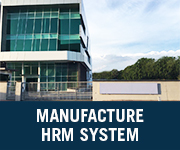 If it is connected to e-Leave HRM and payroll, the e-Leave HRM will take into account the attendance, and payroll will reflect the absence. 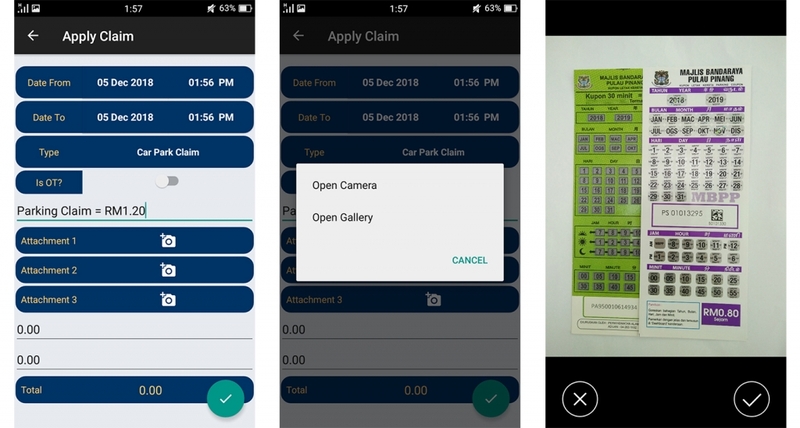 Basically, your employee login to their account, key in claim item, value and then choose to upload photo of receipts, toll and etc. Finally save the draft or submit the claim. The claim will be sent to email for approval automatically. 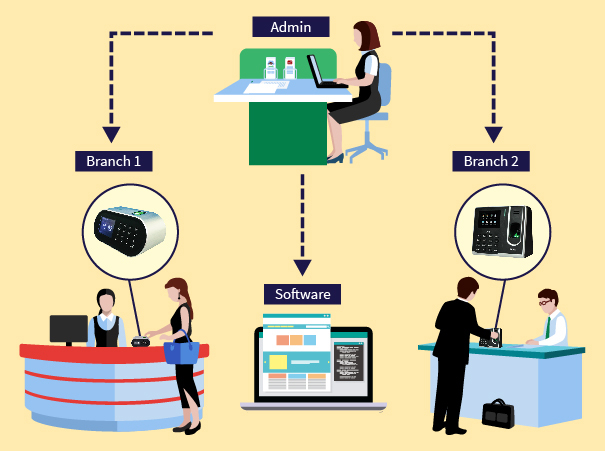 The whole process is simple and most simple to operate by even low level employees. 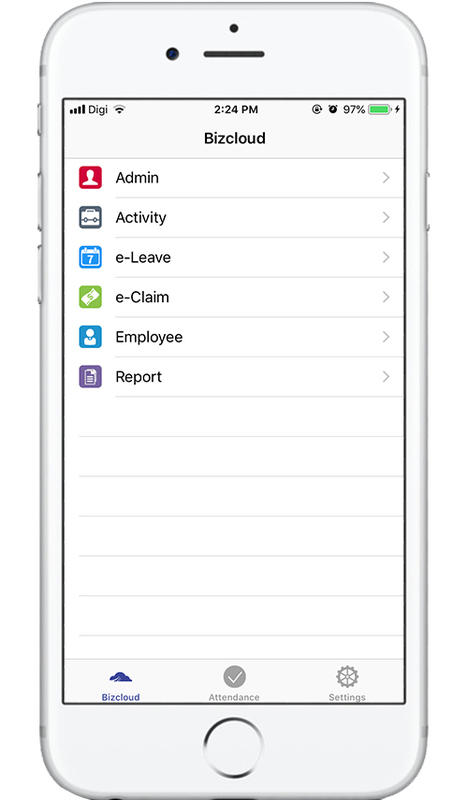 The admin have multiple setting to limit type of claim the employee can submit, and even the maximum claim value per employee. Finally, the payment can be done by manual update, print payment voucher or even include into the payroll. 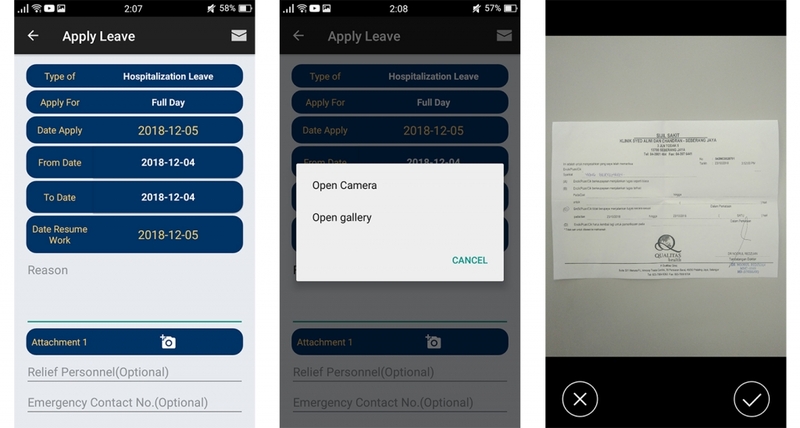 Initially, you setup leaves available for each type of employee, then system automatically calculate leave entitlement and reimbursement and other from here. 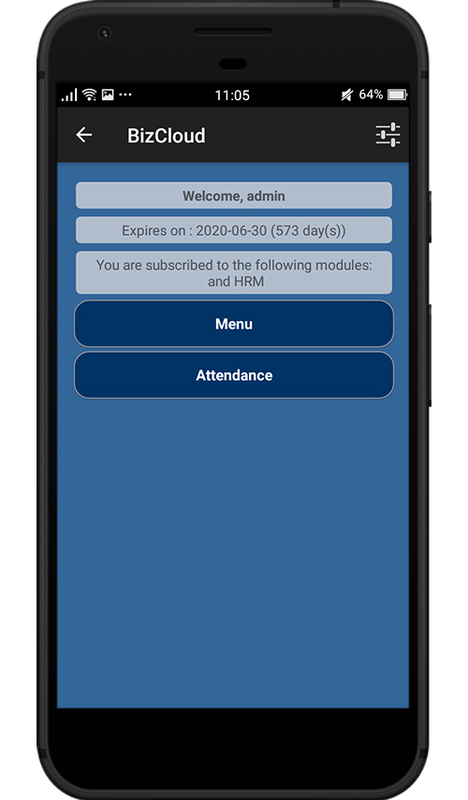 Employee login to apply leave via mobile app or website, the process is design to be very easy for even lower level employee to use. Supervisor can approve leave via email according to the level and group of approval. 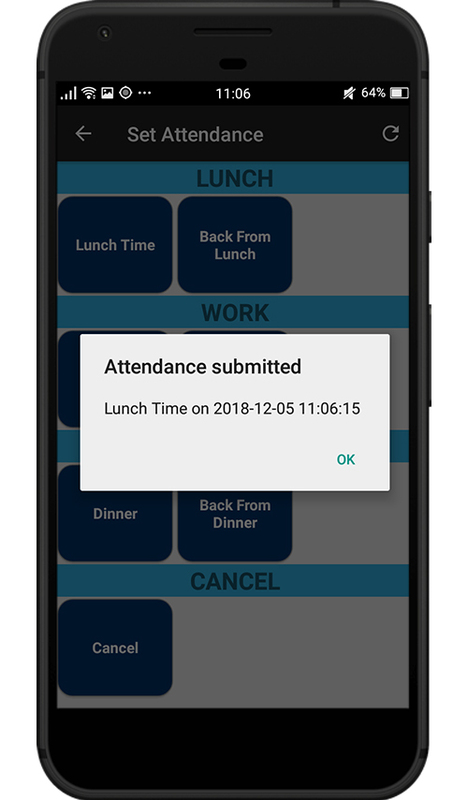 If it is linked to payroll system and employee attendance system, the payroll can show the leave balance, and the attendance report will show the leave applied too. 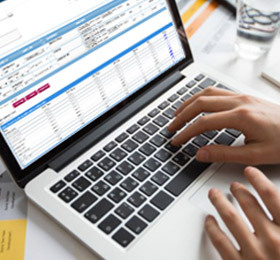 Every month the HR need to generate payroll statement for employees. 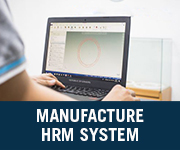 With the help of e-Leave HRM, the payroll is generated automatically. Calculate SOCSO, EPF, EIS, income tax and etc. If e-claim and e-Leave HRM is included, you can opt to show the balance leave and claim payment. 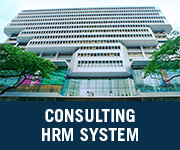 There is question bank inside the e-Leave HRM system. Your expert can key in questions into the question bank with answers. Then question set can be define by picking up questions. Once done, assign the set to employee to answer. They can answer to do self-evaluation, KPI, knowledge transfer or test. This ease knowledge transfer and reduce training time and effort. 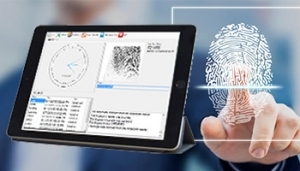 You can scan all your documents online, the document can be tag under employee and put the description and remark for easy retrieve later. The document can be PDF or picture format. The data is stored in securely and access only by authorized personal. 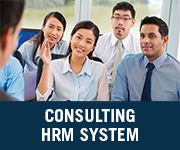 Do not worry about training your staff to use the e-Leave HRM System. 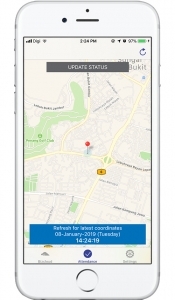 We worked with Mobiweb Infocenter Sdn Bhd (a PSMB Certified Training Center) where you can utilize your HRDF fund to train your employee to use the e-Leave HRM System. 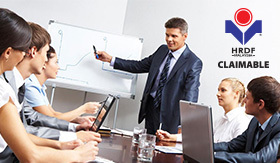 The training can be done in your venue or out of your premise.